I would like to share something I've learned today with those of you making music. This technique is actually pretty easy, but hard to come up with. I'd like to show you, how to make use of a Gate. What's a "Gate": A Gate is an effect which lowers the signal's amplitude in order to reduce unwanted noises. For instance you've recorded a singer, and when he stops singing, you hear cars passing or neighbours screaming. You don't wan't that in your song, so you use the Gate which cuts down everything below a certain threshold - everything is perfect. Gateplay: Now with that knowlegde you can use it somewhere else, somewhere you like to use it. Let's pretend you've got a basedrum which lacks of lower frequencies. 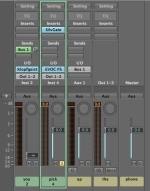 Now you probably would say 'where's the problem, just give it an eq and done'. Well that works fine if those frequencies are there, but if they aren't you can't push them with a eq. Make a new channel. In that channel you put a tone generator with a sinus at, lets say 50hz. Then you have to go to the channel where your basedrum plays and send it to a Bus (sometimes it's also called Aux). Don't send the Bus to your Master because you don't wanna hear the basedrum twice. Now go back to your sinus channel, put a gate in there and give it the sidechain signal from the Bus. Other uses: You have a sound waving all around with a great reverb but after some time it becomes uniform ? Technique is the same. 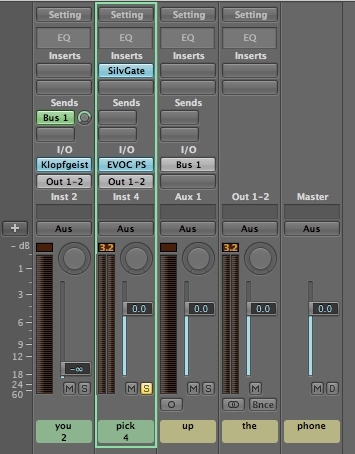 Make a nice rhythm (if you don't wanna hear it in your mix, don't send it to the master) and send it to a bus (again, don't send the bus to the master, this is just the trigger signal). Give your waving sound a gate and trigger it with the Bus signal, and wwoooaaaaaarrrr you've got a soundwaving reverb which dances to your rhythm. 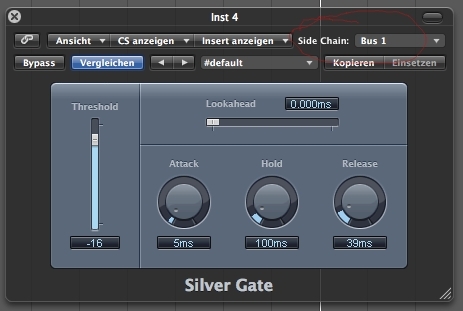 Settings: To make it really tricky you can add automation to your gate, and change the parameter attack, release, hold or threshold over the time of your song. I hope you liked it and maybe have learned something.